I don’t exactly go to the movies all the time but there’s some budget allotted for me that I can use for leisure. Or so it seems. Now, this movie I was almost certain I didn’t want to watch. If only I had been more certain at the time. First of all, the title isn’t anything interesting. The tag line is a bit interesting but I’ll be mentioning that again later. Second, I never really watch horror movies and the poster was just screaming so. 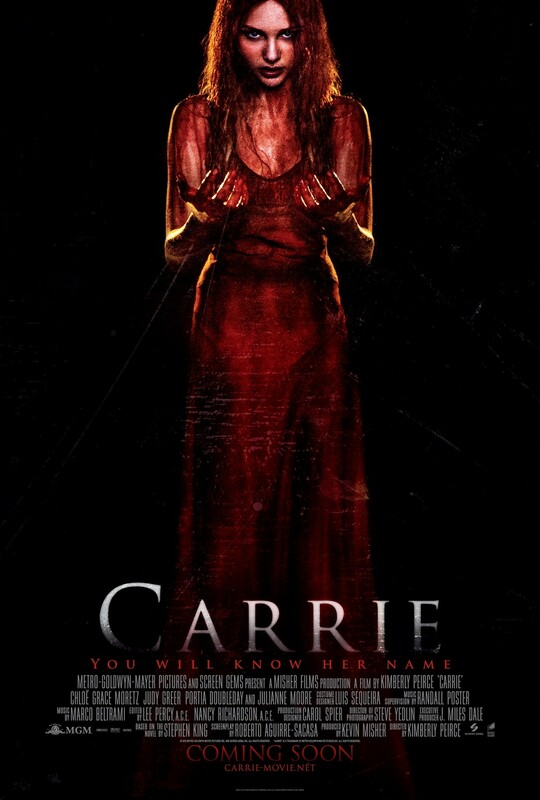 However, I was told that it’s not a horror movie at all (which is true) and Carrie‘s got powers. With that, I imagined The Covenant. Wrong. Well, mostly. Before I go anywhere else, Carrie, starring Chloë Grace Moretz, is a movie set in the present time in your “typical” high school where the mean dark-haired girl, and her crowd, bullies the loner blond. Kinda like in the Taylor Swift video, You Belong With Me. Remember that tag line I was talking about earlier? In the poster it says, “You will know her name”. And that really doesn’t speak of the Carrie in the movie at all because everybody knew Carrie. So, the interesting-ness of the tag line evaporates almost immediately. Story-wise I’d say… It’s a very long way to the prom. And you know that the more important bit happens there because that’s what the trailer told you. After almost an hour without it happening, you start really wondering about it and start thinking that there wouldn’t be much of a story if it drags on any longer. The part where she saves her gym teacher from electrocution makes her rampage weak and simply all wrong because it could only mean that she was sane at the time and not taken over by rage. Which means, her act of killing all those people, and destroying just about everything in her path, was a rational and conscious act. And that totally makes her a villain, a very weak villain, instead of a victim – which is what she was supposed to be. Oops. Sorry I didn’t add a spoiler warning. Not. Of course, that might just be me because I’ve seen enough movies and read enough books. Truly, there isn’t much in it. I should mention, there’s just a lot of blood; which I didn’t like at all. I don’t like blood and gore. It’s what made me not want to watch Hansel and Gretel: Witch Hunters. I should have guessed at that, given the poster, but part of me was probably hoping that there wouldn’t be much besides those in her dress. I wish I could say that the soundtrack was its redeeming factor but I couldn’t. Nothing about the soundtrack was memorable. I’m not a fan of the Twilight series (I still don’t get why people react so) but I have to admit that their soundtrack is kinda good. I guess, this is a bad review of a movie. I hate writing something like this. But I can only write what I saw. I can’t even do what I did with Sucker Punch trying to redeem the movie by the fact of Zack Snyder because Kimberly Peirce isn’t exactly familiar. At least, not to me. That was the first thing I noticed about the movie, by the way: the unfamiliar name of the director. Perhaps, one redeeming factor of the movie for me would be the fact that I saw it for free, including snacks. Except for my time, I didn’t really have to pay for it so… All’s well, I guess. I know they’re not very new but I only just got them. I got Demi for Made in the USA. 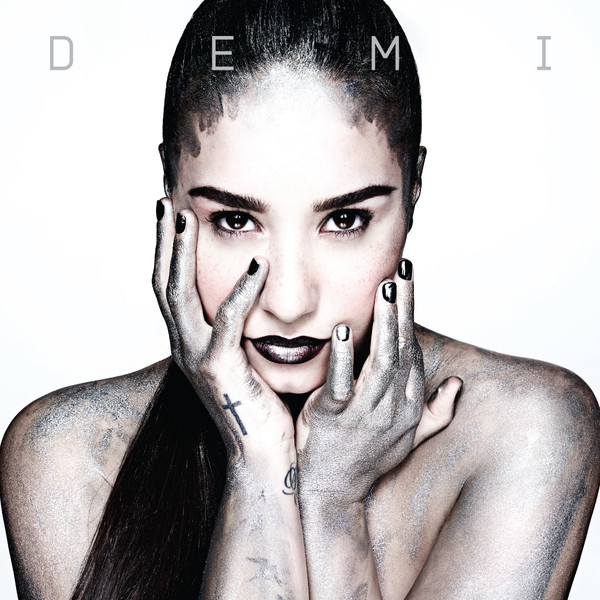 I didn’t feel like getting it before I heard that one but now I’m really glad I did because I am absolutely loving Demi Lovato’s Nightingale. The song feels like it comes straight out of a great movie soundtrack. I should say this though: Never Been Hurt is practically Unbroken written using a different set of words. 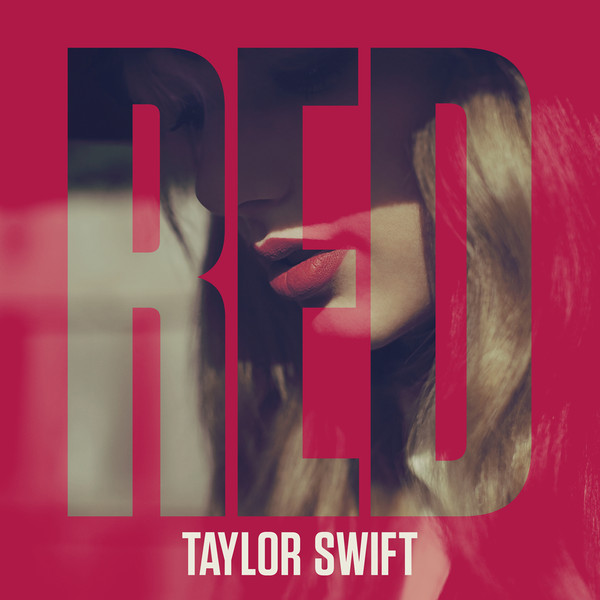 Red I got because of I Knew You Were Trouble. It’s pretty dark especially for a Taylor Swift song but I love how the beat hints on some song that should get you up but once the words start getting sung, you realize it’s tragic. I wouldn’t have gotten this one if it weren’t for that track. Stay Stay Stay is so damn cute. 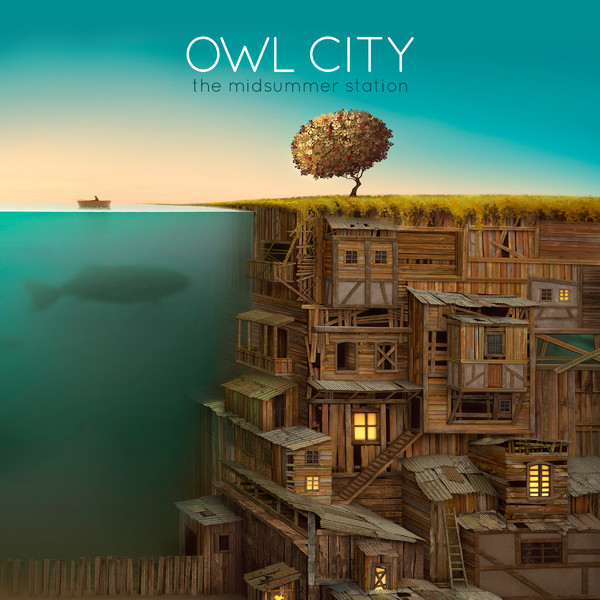 Of course, there’s no question why I got The Midsummer Station. It’s Owl City. It’s a given I’m gonna get it. Taylor Swift: It does get better after high school. That seems pretty much conclusive. Boo to Kanye West, Go On Taylor Swift! The title might be too harsh but it’s just what I can think of that kind of behavior. And what’s up with the MC defending him?! Yeah, we all have the right to say what we wanna say but there’s a right time for everything. K. West could’ve just blogged aout it. It would’ve been better if he blogged ’bout it and not blog his apology. Yeah, I know Beyoncé knows how to do her thing, the dancing and all, but come on people, what’s so special about the MV of “Single Ladies”? I ain’t tryna bash Beyoncé here; I listen to her too. I can listen to that song but the MV wasn’t something awesome. I mean, really… It was nothing but her and two girls dancing like whatevers… Then again, I DON’T DANCE… Anyway, “You Belong With Me”‘s MV is way better. I didn’t like Miley’s “Party in the USA” at the Teen Choice Awards but I didn’t delete here music in my rig. The biggest reason would be “Butterfly, Fly Away”. Or, I think I’m wrong… Points to deleting his music in my rig as I that move was beyond stupid and outright rude. In my book, he really lost a lot of points… He can go down the level of pathetic… That was pretty childish, you know. ‘Bet he acted on impulse. And he said, “I’ll let you finish.” but I don’t think she gave Taylor the chance to finish as when he returned the mic, Taylor’s time was up. Was he high? Or is it just normal for him to be doin’ that as he doesn’t care about other people having some attention for themselves as he wants all attention to him? He pretty much got a lot with that move; including this post and look at all those comments to the article at Rock & ROll Daily. I’m just wondering why Taylor cried hysterically, as the article states. Maybe it was the shock or something… Or whatever… I hope “hysterically” was just an overstatement if she really did cry. Typical negra inability to act responsibility or as an adult in the rapper negra’s case. What a stupid useless race. What is up with that?! That’s totally racist! “Typical”?! That totally implies that he thinks that negra people are unable to act like adults… What on earth? !